Ab. Velasco is the Manager, Innovation at Toronto Public Library. 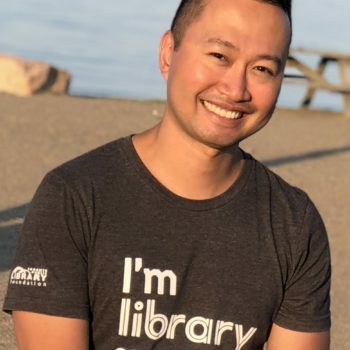 His team leads service and program development for the library’s digital innovation services, which include the Digital Innovation Hubs and Pop-Up Learning Labs. His team also coordinates and leads partnership development for these services, which include the annual Maker Festival and most recently, hosting the Go Open Data Conference at Toronto Reference Library in 2019.